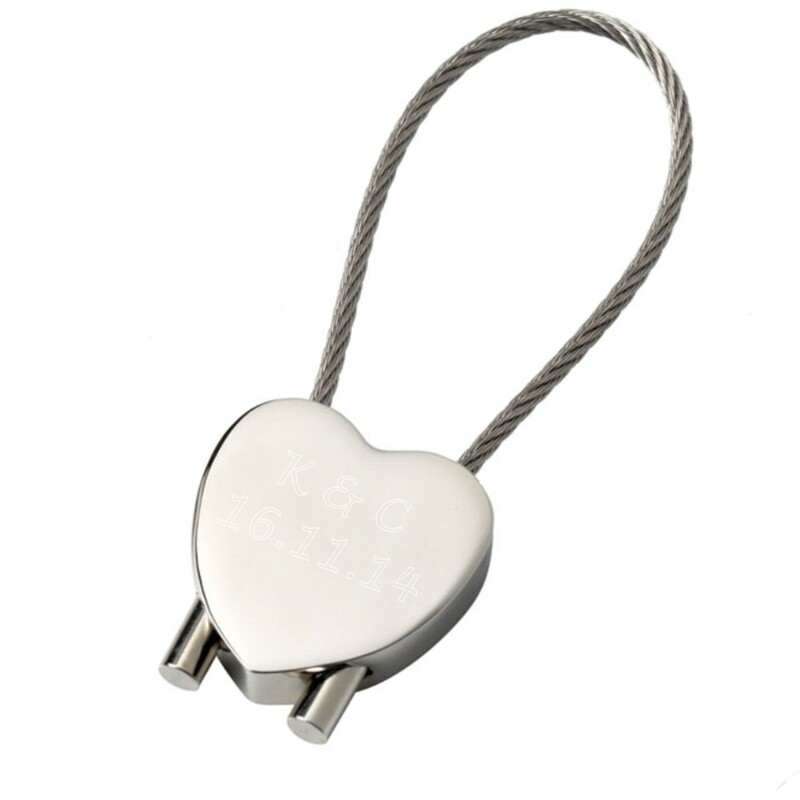 Personalised Engraved Highly Polished Chrome Heart Cable Keyring. Personalise this unique gift with your own special message or just keep it simple and have a name engraved. All your engraving goes on the front of the keyring. For an additional charge you can have your text engraved on the reverse too. A perfect unique gift that no one else will have! Comes with a FREE gift pouch too! This unique gift measures 78 x 25 x 10 mm. Length includes to the end of the cable.